‘One Piece’ Chapter 941 Release Date, Spoilers: Sanji and Zoro Become Real Enemies Over Hiyori? Nicole Kidman and Keith Urban are one of the celebrity couples who is always beset with divorce and cheating rumors. There is not much that they can do to dismiss these reports about them so it appears that Tom Cruise’s ex-wife had thought of a way to do it. She reportedly decided to join her husband in his world tour to chase away the infidelity reports. 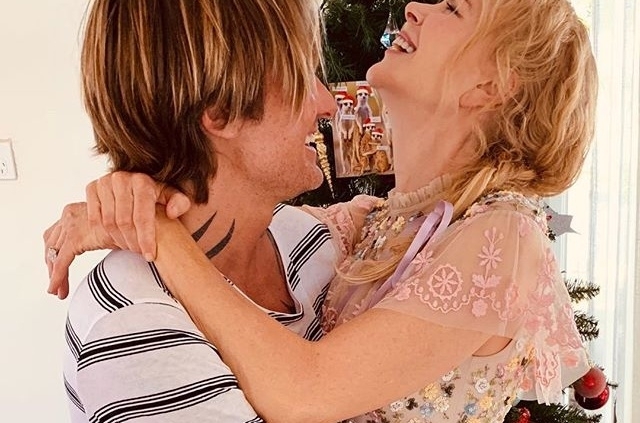 According to Australia’s Woman’s Day, Nicole Kidman hit the road with Keith Urban and their daughters as he performs around Australia and Europe. It was mentioned that the “Graffiti U World Tour” started this month and will continue until March so it also means that the actress has given up her work schedules to be with her other half during his concerts. Although it sounds like she is being a very supportive wife, the magazine alleged that Nicole Kidman is actually joining Keith Urban because she wants his past cheating rumors to go away. Now, Gossip Cop launched an investigation to check if this report is true and after a while, it concluded that this Nicole Kidman – Keith Urban story is not true. It claimed that the source in the story maybe non-existent because they could not trace him or her. Plus, it already reached out to the actress’ representative who said that the “Moulin Rouge” star is not planning to go on tour with her husband just to quash the rumors about them. Gossip Cop also mentioned that Woman’s Day has been consistent with reporting fabricated stories and this is not the first time that it made up a divorce and cheating narrative about Nicole Kidman and Keith Urban. Therefore, it cannot be trusted for accurate stories.